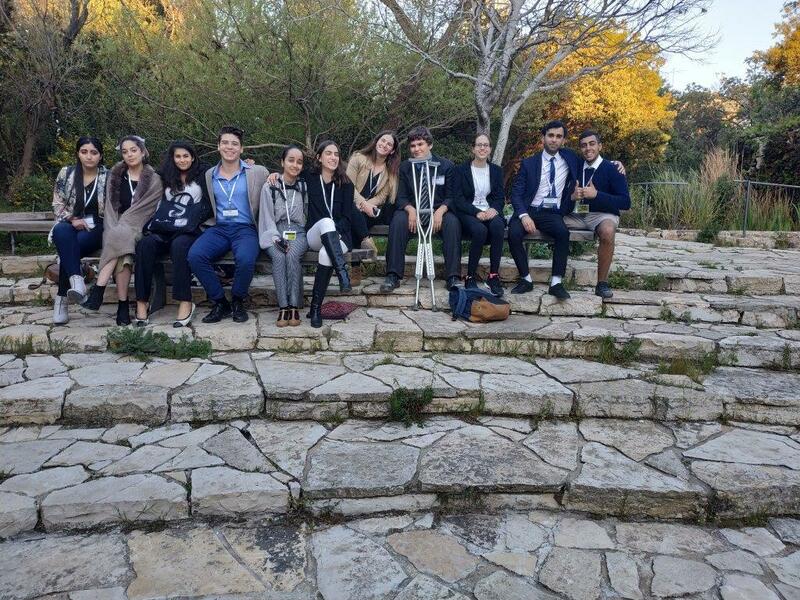 Model UN in Israel went up a notch when 150 delegates and chairs from 30 different countries got together in for the JLMUN 2019 conference. JLMUN 2019 started on April 14th, 2019, and concluded on April 18th, 2019. 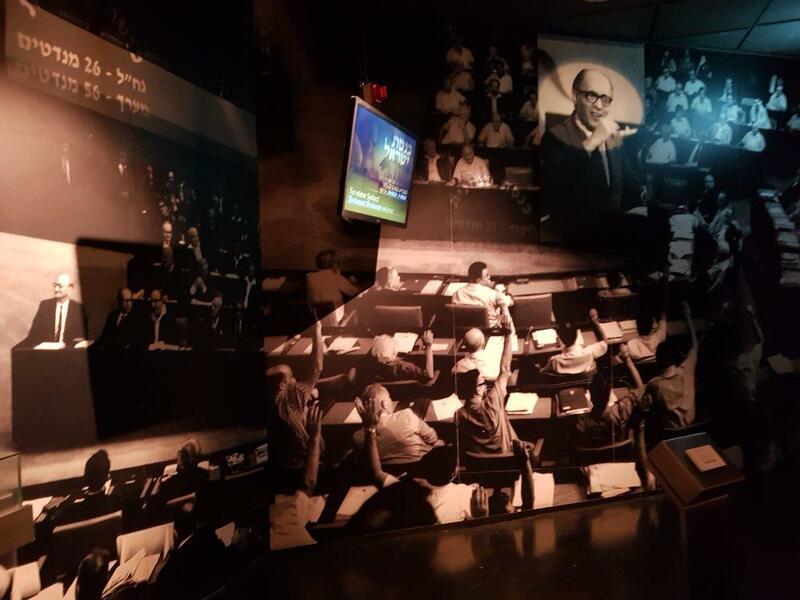 The conference was held to very high expectations, which were, with no doubt, met. 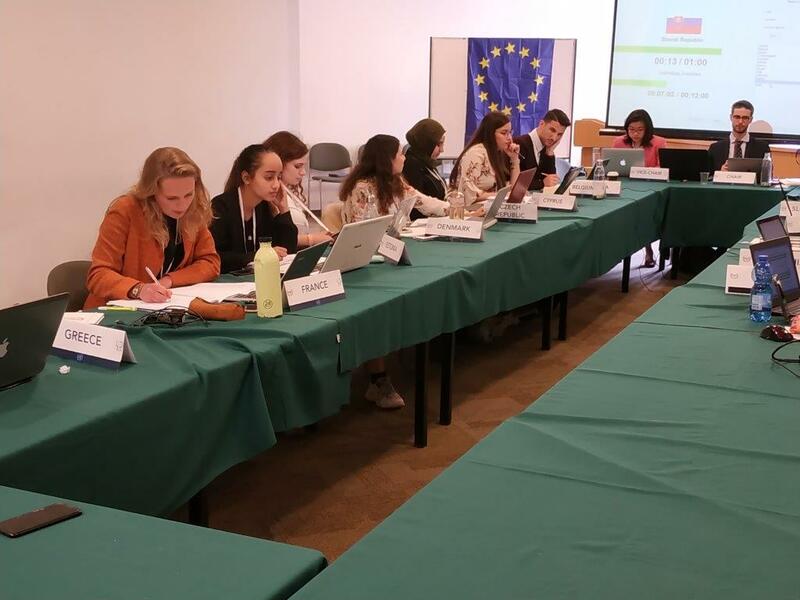 The conference was run by IMUNA (Israeli Model United Nations Association) and held at the Hebrew University in Jerusalem with support from the American Center Jerusalem, and the American, Dutch, and Canadian embassies, and other international sponsors. As the first international level, 5-day MUN conference to be run by IMUNA in Jerusalem, it was the brainchild of Secretary-General Natalie Raidl and Under-Secretary-General Ari Karp. The conference included 7 committees: Security Council, NATO, United Nations General Assembly – Sixth Committee (Legal), ECOSOC, European Council, Joint Cabinet Crisis, and the Press Corps. The Legal Committee (the Sixth UN General Assembly Committee) debated criminal accountability of UN personnel as their first topic and Immunity of heads of state and other state officials as their second. This was one of the advanced committees and included only 12 delegates. “When we were debating the first topic (accountability of UN personnel) we started off with two coalitions, but we ended up merging resolutions and working together. We believed we accomplished a lot, and it’s really great working with all countries”, said the delegate of the UK. The European Council (EC), like NATO, though not a UN committee was certainly interesting. In the EC the delegates will be reviewing the Dublin III Regulation on Asylum Seekers and will be discussing The Future Direction and Priorities for Establishing the Energy Union within the Single Market. This committee was described as “very productive, we came right to a conclusion. Everyone is very supportive,” by the delegate of France. Altogether, this conference was run very smoothly, with fascinating topics, and amazing people. It is a highly recommended conference, and will only be better next year! In one month, Tel Aviv will host the 64th Eurovision Song Contest, the second most-watched live TV program in the world and the cultural event with the highest ratings and largest international coverage to ever take place in Israel. 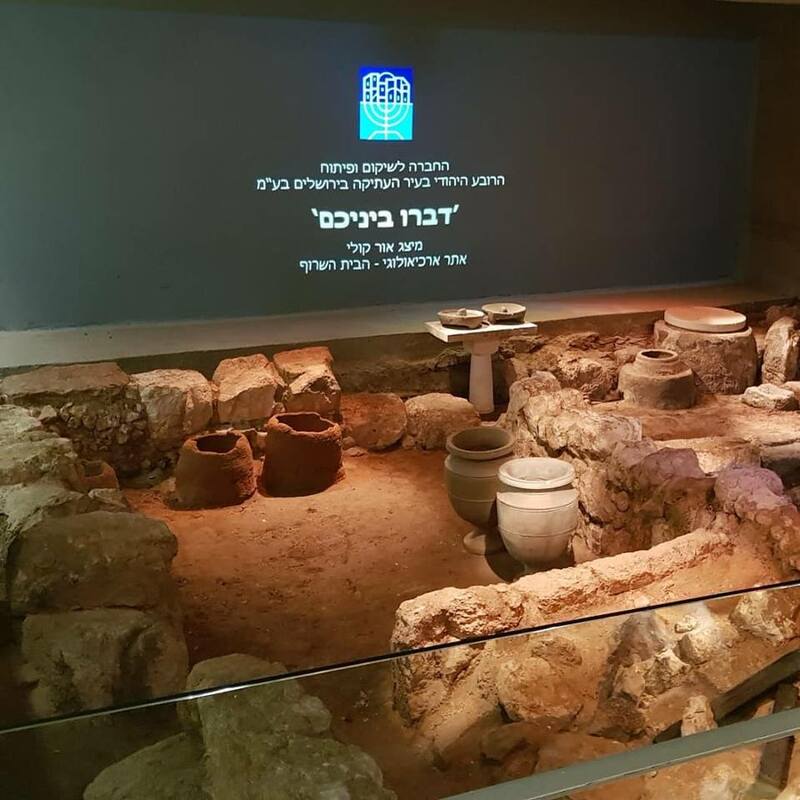 Over the last few years, the Municipality of Tel Aviv-Yafo has invested vast resources in developing its facilities and infrastructure in order to become a prime destination for major international conferences and events. 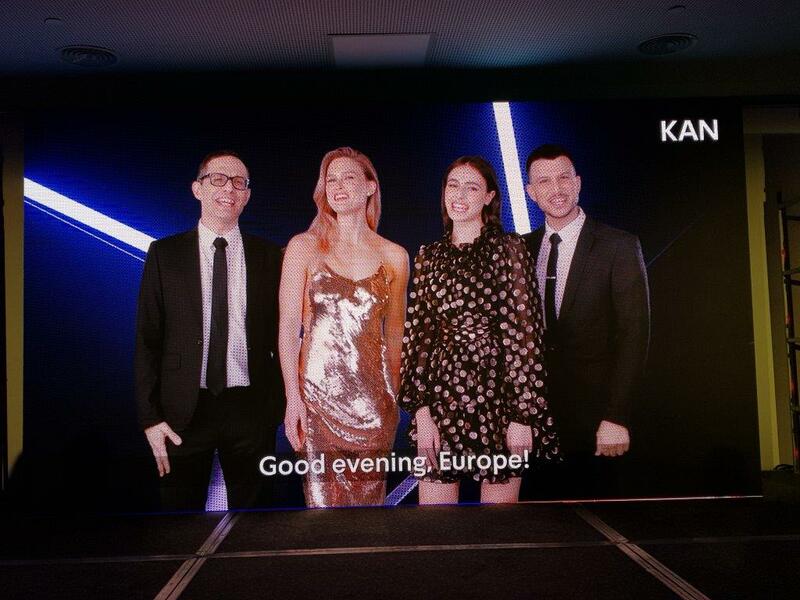 These efforts included the recent establishment of the Tel Aviv International Convention Bureau as well as the building of the new pavilion at EXPO Tel Aviv which will host the Eurovision Final and Semifinals. 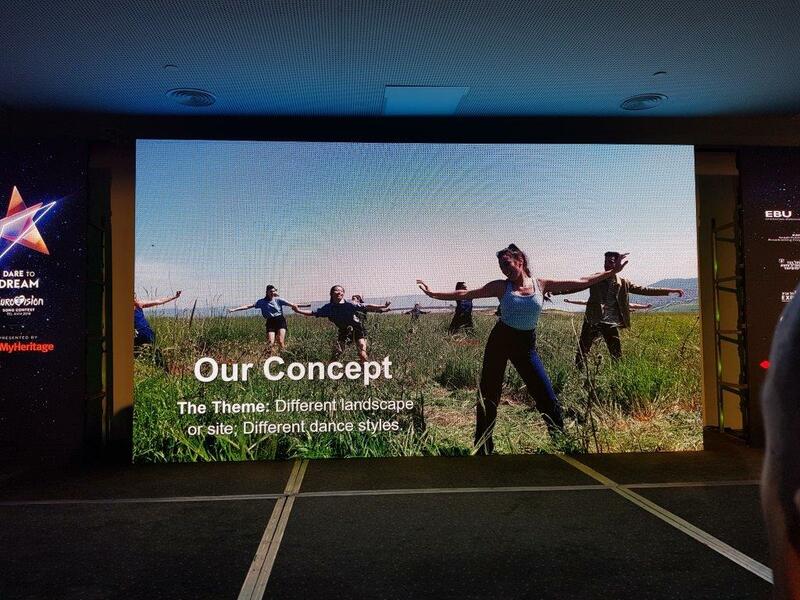 More specifically in the past months, since Tel Aviv won the bid to host the Eurovision, the Municipality has been working hard in order to create a perfect experience for tourists; from improving the transportation infrastructure to the organization of workshops for hundreds of service providers such as taxi drivers, lifeguards and much more. Ron Huldai, Mayor of Tel Aviv-Yafo: "Eurovision is an opportunity for incredible global exposure. In one month, Tel Aviv will welcome thousands of tourists; will host one-thousand and five hundred journalists; and will be seen by tens of millions of viewers. Netta, in her recent song, talked about two moods: BASSA and SABABA: a bad mood and a good mood. Unlike the song, Tel Aviv has only one mood. We promise, that whomever comes to Tel Aviv in May, will experience one thing: SABABA, SABABA, and more SABABA." The highlight of the Eurovision events in Tel Aviv will be the largest Eurovision Village in the world, overlooking the Mediterranean coastline at Charles Clore Park. The Eurovision Village will be open to the public from May 12-18 from the afternoon until the evening and will showcase performances by Israeli artists such as Static and Ben El, Stephane Legar, and former Eurovision superstars such as Dana International and Izhar Cohen. 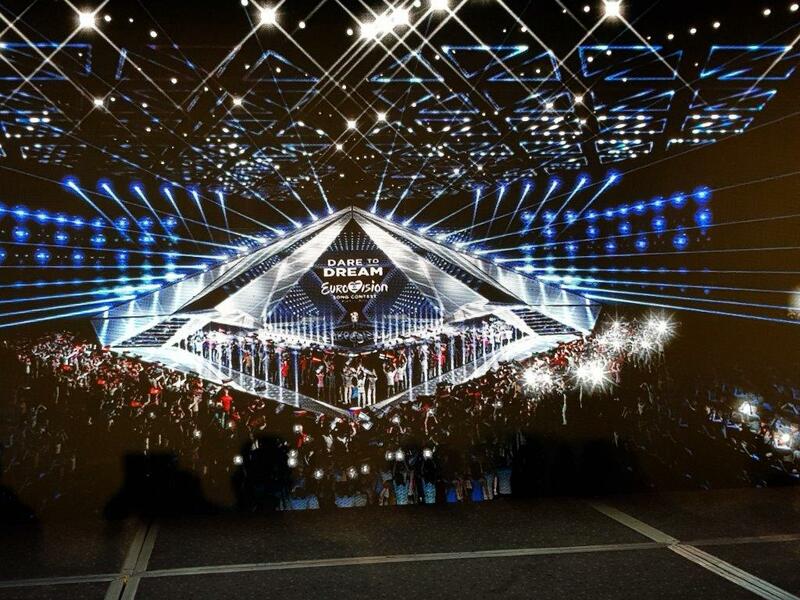 In addition, the Semi-finals and the Final will be projected on giant screens and visitors will be able to enjoy the sea breeze while sitting at a giant bar overlooking the sea, surrounded by remarkable light compositions, created by the official lighting partner OSRAM. The annual Tel Aviv Eat Festival will also be happening alongside the Eurovision Village (12-18 May) in a separate and adjacent compound. Visitors will be able to taste some of the most delicious dishes by Tel Aviv’s celebrated chefs. Participating restaurants include Manta Ray, Onza, Messa, The Blue Rooster, and many others. The Tel Aviv White Night will take place on May 16, on the night of the 2nd Semi Final. During the White Night, as the sun goes down, Telavivians and tourists are invited to wander through the many events and exhibitions taking place around the city - from the official Eurovision Village through cultural centers, museums, bars, open spaces, beaches and much more, until the sun rises and shines over the White City. Tel Aviv White Night is one of the biggest events of the year, and the Eurovision week is the ideal time for these celebrations. The events and performances are open to the public, most of them free of charge. Israel's largest and most technologically-advanced convention center has undergone an 8 million NIS investment over the past few months in order to adhere to the highest standards that the Eurovision demands. Projects included creating a new piazza; hundreds of new signs in English, Hebrew and Arabic; installing hundreds of energy-efficient lighting devices, and more. Currently, over 1500 workers from Israel and from abroad are working around the clock to prepare EXPO to its largest show yet. The Eurovision Song Contest is a huge opportunity for the city to improve its infrastructure for international tourists visiting the city. During the weekend, the Tel Aviv-Yafo Municipality will offer free shuttles to Expo Tel Aviv. Two shuttles will pick up ticket holders at the Carmelit Terminal and take them to the Expo along two main routes. At the end of the show, buses will be waiting for ticket holders and will bring them back to their hotels. The information regarding the shuttles will be available in English at all stations and on board all buses. The railway system will be reinforced and will let visitors get off at the Tel Aviv University station near the Expo. 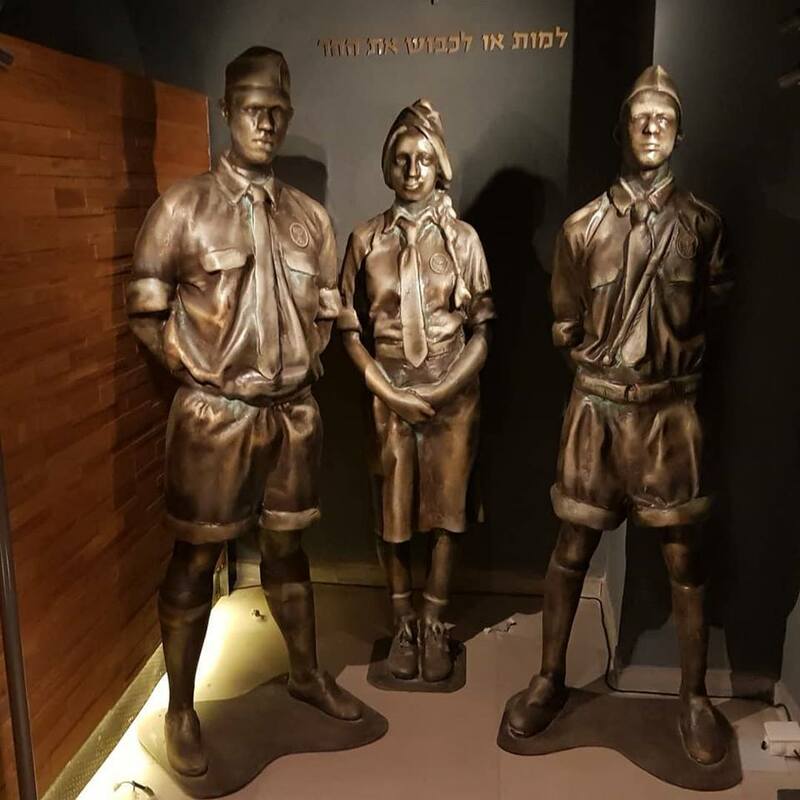 In addition, tourist information centers will be placed 24/7 at Ben Gurion International Airport and at Savidor Central Train Station. "Share-Route" taxis (lines 4 and 5) will allow fast and cheap rides and information regarding regular taxis will be more accessible for international tourists. Information signs in English will be placed on the 500 main bus stops in the city. A tourist information desk will operate in the arrival hall at Ben Gurion International Airport 24/7. Hundreds of volunteers were recruited to assist tourists during the Eurovision week. A free pocket guide for tourists and a brand new website will include all the info tourists may need. Thousands of flowers were planted in the colors of the Eurovision logo around the city. 15 pop-up information booths will be spread across strategic spots in the city. The lifeguard tower located near the Eurovision Village will be customized especially for the Eurovision. The Eurovision Song Contest is a fantastic opportunity to set new green standards and make events in Tel Aviv more ecological. The Municipality has formulated guidelines for the main Eurovision areas concerning waste reduction, efficient energy use, and eco-friendly activities. During the "Tel Aviv Eat" Festival, the Municipality will encourage chefs to produce "green" dishes, especially vegetarian and vegan, based on local and fresh ingredients and leftovers will be donated to “Leket Israel” – a local charity that specializes in food rescue. Throughout the Eurovision week, the beaches will be animated with music events, sporting activities and live screenings of the Eurovision shows. Old Jaffa will host an interactive orchestra installation and in Jaffa Port, a huge radio will play Eurovision classics from previous years. Tel Aviv Port will host a huge Shabbat service, a Dana International exhibition, a vinyl record library and a closing musical show with Anne-Marie David, Loreen and Carola - three Eurovision legends. Amiad Center at Jaffa Flea Market will open DiverCity – an exhibition inspired by Eurovision songs. The Municipality has decided to implement a number of temporary policies for business owners and visitors so that they can extend their hours of work and continue to entertain guests even during the late hours of the night. Bars and restaurants will be allowed to set up large screens to open areas and broadcast the shows. In addition, they will be able to play music until midnight. 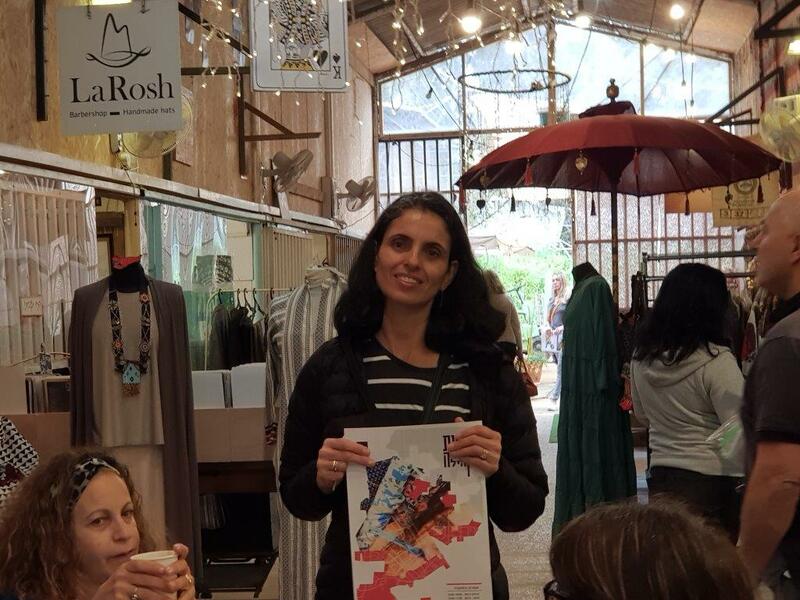 Together with business owners in the city, The Municipality is promoting the "Tel Aviv for 10 Shekels" campaign – during which visitors will be able to purchase drinks and food for only ten shekels throughout businesses around the city. The Municipality will host the "Kehilavision" ("Eurovision in the Community"): The city’s community centers will each represent a different participating country and will organize a variety of events that will present the country and its culture. There is a new gorgeous complex in Pardes Hanna-Karkur called in Hebrew, "Urvot Haomanim", which translates into "The Artists' Stables". As its name suggests, a number of artists took over a set of abandoned stables and turned them into a little boulevard of boutiques. Abracadabra - This magical shop is a Macrame studio belonging to designers and artists, Racheli and Yona. You can find beautiful macrame covered lamp shades, curtains, accessories, and threads for purchase and can even register for one of the macrame workshops. Arsalim - A creative hammock studio designed by Shirli Nawi. The studio offers hammocks of all sizes starting from a crib hammock. Atelier - A studio of hand-painted tiles. The studio works with public builders, architects, and private renovators. In addition to the tiles, it offers beautiful accessories, carpets, cushions, paintings and other handcrafts from Israel and abroad. BioFeellia Botanic Collections - The studio is a botanical sculpture studio managed by Sol Keren. 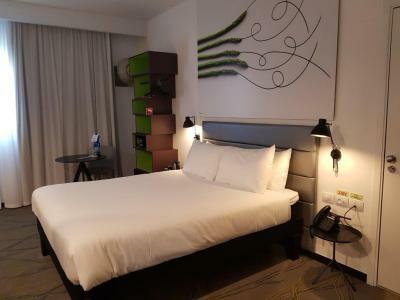 It offers specially designed plant arrangements and other atmosphere products that correspond with nature. Dafna and Dan - This colorful studio immediately attracts the eye with it's a bright display of ceramics, paintings and sculptures by Dafna Kastenboym and Dan Shamir. Hadas Mor - A designer lingerie boutique. Hadas comes from a diverse cultural background. She lived in Paris for many years where she worked at Kenzo. Her tasteful style honors the feminine body. LaRosh - "LaRosh", or in Hebrew "The Head" is a mix of a boutique hat shop and a barber shop managed by Amalia Dan, the hatmaker and her partner Shlomi, the barber. Amalia studied at Rakefet Levy's school followed by a few years in New York. In NY she found learnt the almost extinct secrets of the hatmaking profession in a hat studio that was founded in the early 1920s on Fifth Avenue in Manhattan. Naveenew - A men's fashion boutique. Royal Gypsy - A designer clothes boutique. Michal Monka's dresses are flattering, magnificent and full of chic and beauty. The dresses are embroidered with sacred symbols from different cultures and can be paired with exquisite jewelry. Each dress is accompanied by a certificate, that explains the symbol woven on it and the energy stored within it. 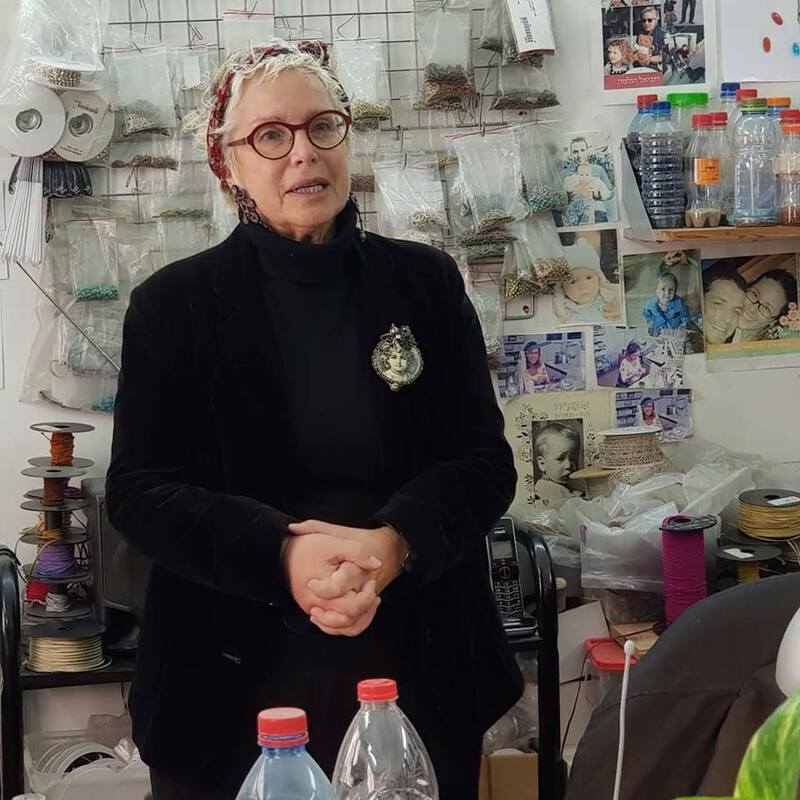 In the artists' colony, there is a small clinic called "Arba Imahot" is with five treatment rooms that work with an assortment of alternative therapy professionals. The clinic is run by Neta Asulin, who offers family counseling. Others available therapies include Chinese and Japanese Acupuncture, Massage, Craniosacral therapy Healing, Couples Counseling, Tarot card opening and more. Opened five years ago, Alina's studio is a painters' studio that offers a space for painters at heart. During the week there are regular classes for children, youth and adults as well as one-time workshops and courses. Most of the classes are given by Alina Oren - the founder of the studio. Alina studied for a BA in painting (New York) and an MA in art therapy (in Israel). The studio also has 'open studio' days in which space is open for those who wish to paint together, without any guidance or commitment. 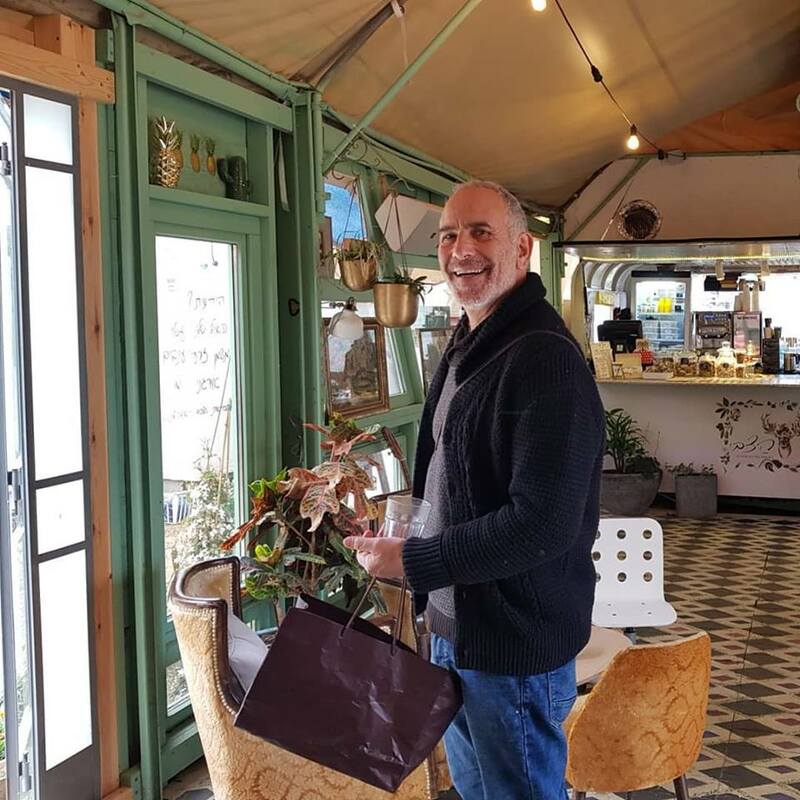 Israeli actor Shai Avivi and Michal Libidinsky opened the Unicorn Club for hosting of performances, workshops, and yoga. It serves as the cultural hub of the sweet colony. In the colony, there is a common yard with outdoor tables where you can sit and eat your lunch. 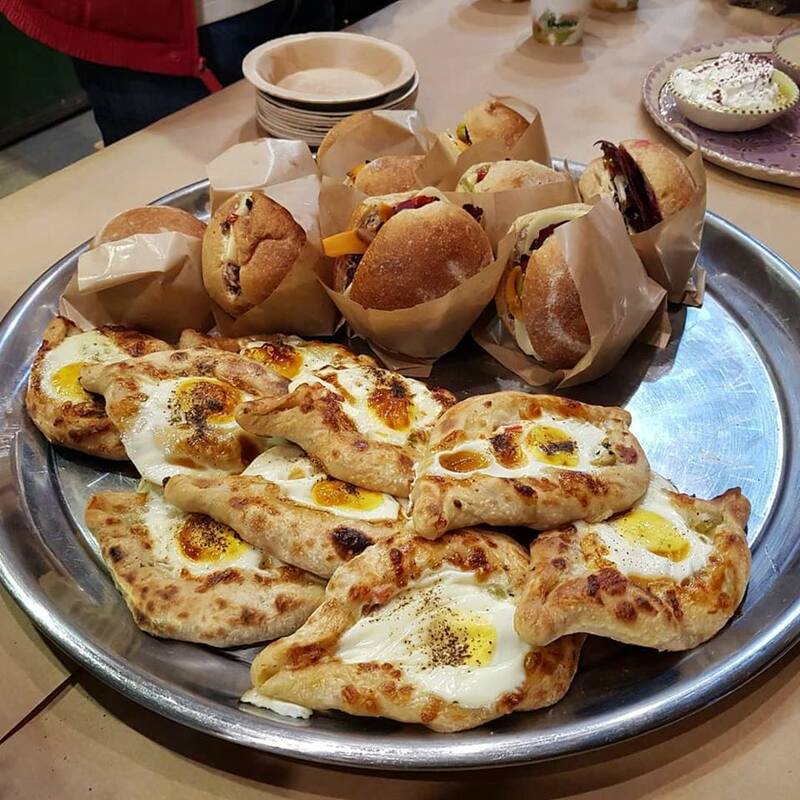 There is a vegan-vegetarian restaurant (Hatzvi Café), an Indian restaurant (Rajananda) and a variety of food carts that offer an assortment of dishes from meats to sushi, freshly baked bread, a fresh fruit and vegetable stand, and a small grocery store if you need a last minute purchase before the weekend. The performances take place on Wednesday evenings and on Friday afternoons in the yard. Dori Csengeri is an renown artist from Tel-Aviv with offices in the US and Europe. 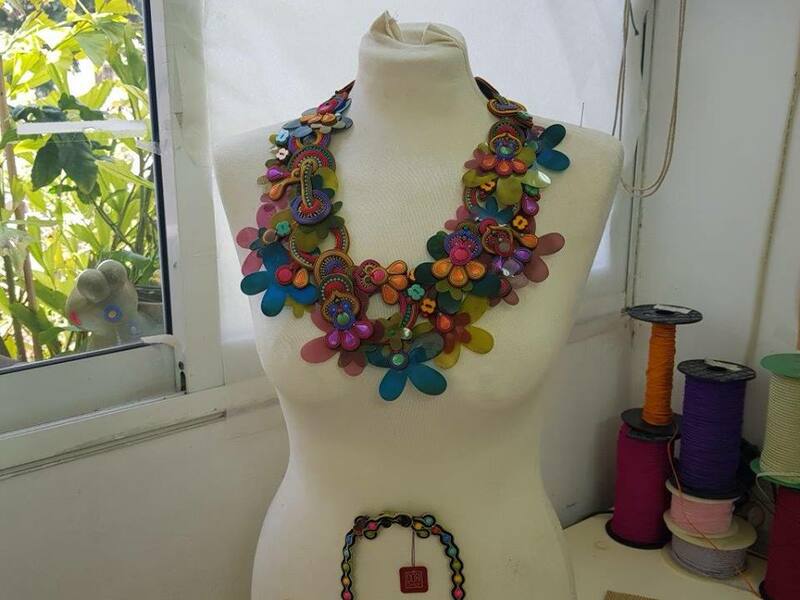 She is a textile designer by trade who creates haute couture jewelry pieces and collaborates regularly with Swarovski for its trend collections. Dori Csengeri's new summer collection brings subversive and individualistic creativity of design, inspired by the Tel-Aviv city landscape and its environment, the sun, the sea and its unique local culture. 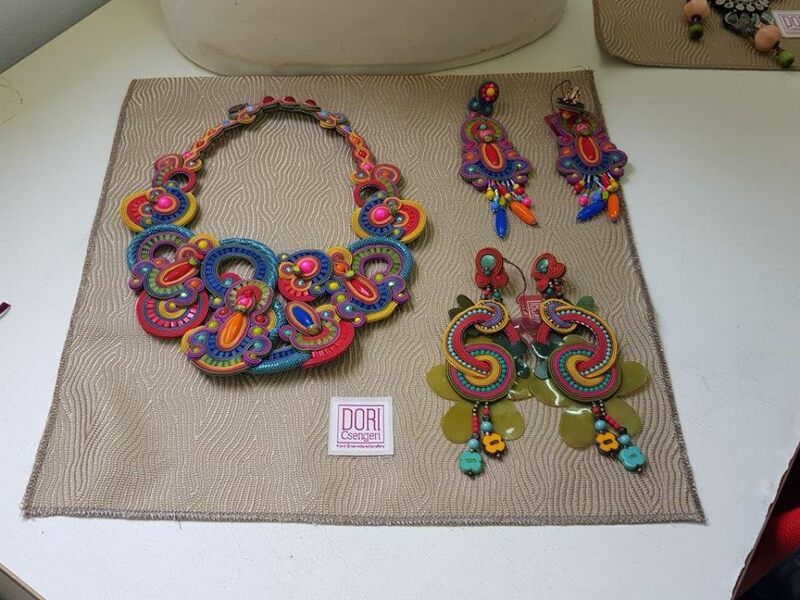 All these come together in a luxurious collection full of bright colors and personal statement, allowing Dori Csengeri to invent herself anew and create jewelry with her singular, stimulating and elegant touch. The NORA assembly is based on dramatic plays between black and white geometrical shapes, reminiscent of luxurious European marble floors. The color placement is asymmetrical and therefore creates a distinctive look that cannot be ignored and striking style. The KIRA collection was created during a search for ethnic artistic roots. Dori Csengeri combined fabric buttons of variable shades with handmade needlework. The bold red, green, yellow and black colors create a beautiful feminine atmosphere. The BROOKE assembly combines Israeli feminine boldness with a blue-turquoise look that stands out against the ageless jeans. It is a light daywear collection and suitable for a wide range of personal styles: casual, elegant, luxurious and more. The AYANNA collection is inspired by the freedom and wild safari and combines leapord prints and sandy colors with leather applications. The addition of sparkling crystals in turquoise, green and gold shades complement the collection and make it a dashing work of art. The ROMY & TAYLOR assembly is a combination of two opulent collections made of original and complimentary compositions. The integrated collection projects harmony and lightness, making it perfect for the summer evenings, using circular sleek shapes and contrasting materials such as Swarovski stones and seashells. High-fashion jewelry with a unique point of you! Dori Csengeri's jewelry collections present scene stealing haute couture creations alongside a refined ready-to-wear selection. The collection offers timeless bridal jewelry as well as a wide array of chic earrings, statement necklaces, trendy bracelets and sophisticated brooches.Each jewelry piece is uniquely designed and states Dori's passion for art & fashion. Silky textile cords frame handmade glass cabochons, natural gemstones and Swarovski crystals, and are leather-backed for comfort.